Heavenly’s mom, Joy Charity Enriquez has appeared on the television series 7th Heaven and also starred in films such as Chasing Papi and Lady and the Tramp II: Scamp’s Adventure. How is this relevant to Heavenly Joy Jerkin’s career? 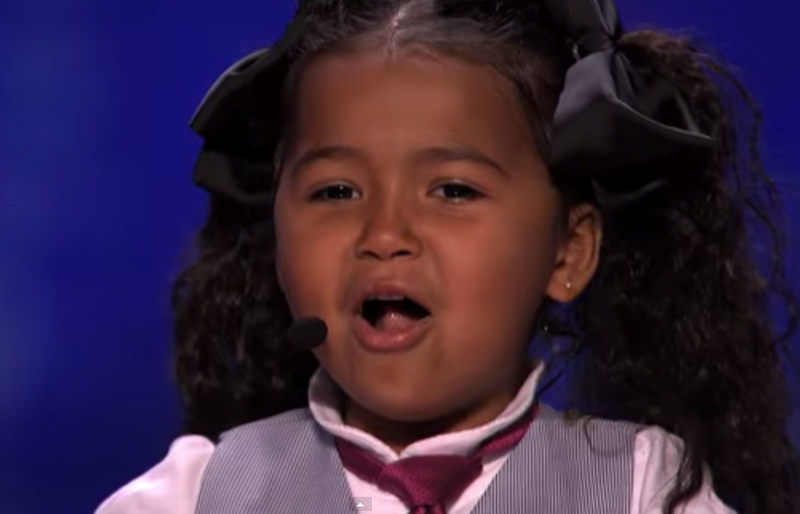 Heavenly has the right genes and the family support and the artistic background going well for her. It is no wonder than she seems to be singing so naturally and fearlessly on the stage and to have a very easy going conversation with the judges. I am certainly looking forward to her next performance. The question that everyone is asking is: Why hasn’t Heavenly Joy Jerkins made it through the judge cuts? 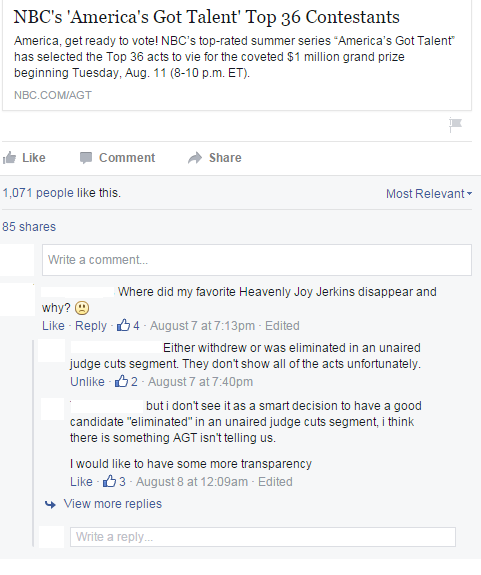 Why didn’t Heavenly Joy Jerkins make it through the judge cuts? Well, there is no official answer from America’s Got Talent, but the unofficial answer is: “she has either withdrew from the competition or was eliminated in an unaired judge cuts segment”. Everyone is disappointed not to see all that cuteness sing and act again, but I am pretty sure she will somehow make it back to the screens one day :). I feel totally gypped out of seeing Heavenly Joy perform again. At least if she’d been cut on-air, she stood a chance at the Wild Card. And she NEVER would have been cut!!! That said, I want more of this darling child, and she seems to know that she’s got the goods! Just please don’t let her get burned out!